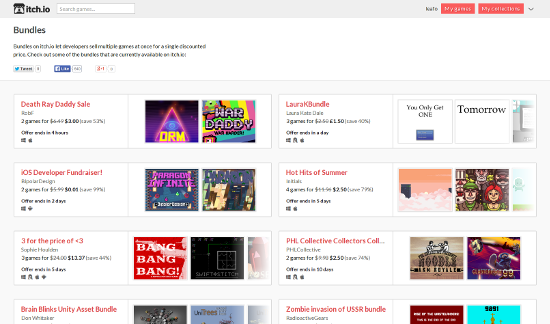 All developers on itch.io now have the ability to host their own game bundles on itch.io! 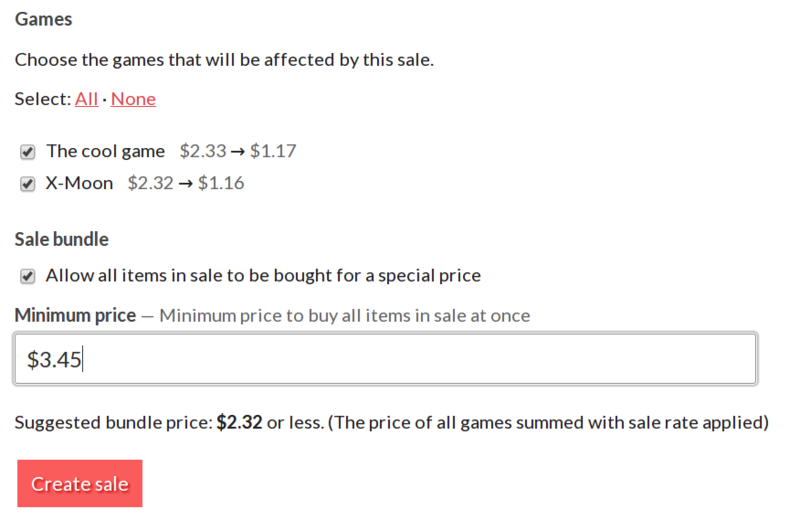 Bundles are a great way to encourage people to buy multiple of your games at once by giving them a discounted price. 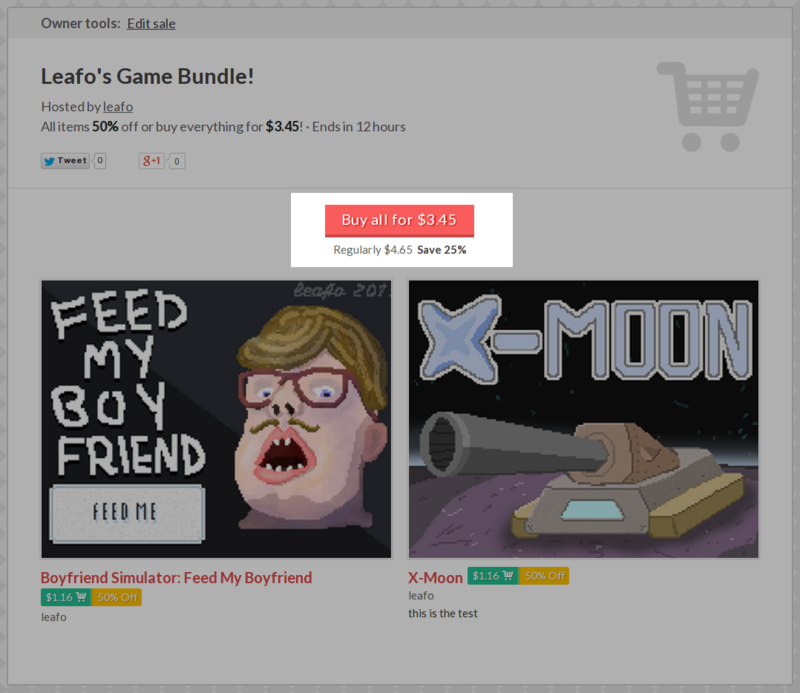 On itch.io a bundle is a special kind of game sale where you set a “buy all” price to obtain every item in the sale at once. Before you create a bundle you’ll need at least two games that are purchasable. Once you’ve got the games created head over to the new sale page (or you can edit an existing one). A suggested price is included to help you pick a price below the sum of all the games in the bundle. At the top of your newly created bundle you’ll find a “Buy all for…” button to let someone purchase all of the games at once. 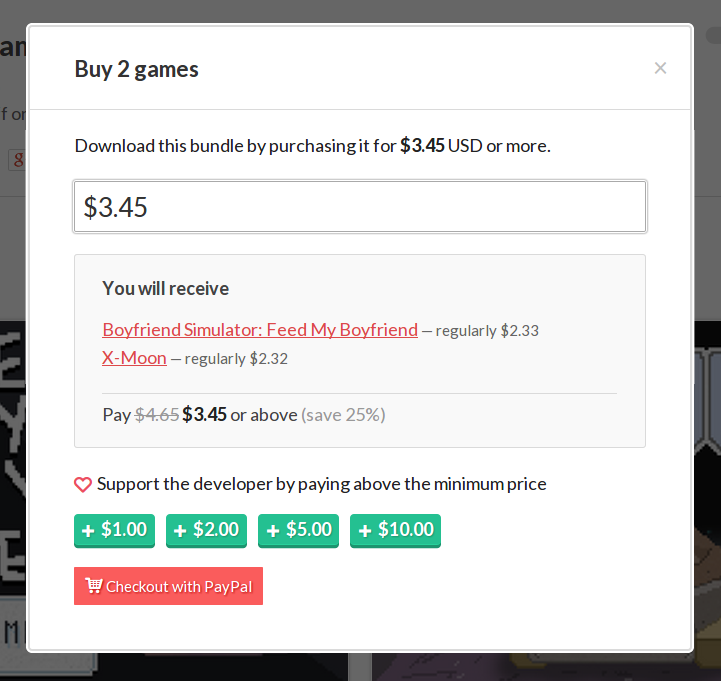 Like any purchase on itch.io no accounts are required and the entire process is seamless! After completing the purchase, the buyer will be taken to their unique bundle download URL where they can download each of the games individually. Additionally, like any other itch.io purchase, if the buyer has an account with a linked email address then the games will show up in their My collections page!